What is a Kanga Boo? **My 6 month old and I both love the Kanga Boo! He loves being able to sit up and look around while I am shopping and I love how easy to use. It is so well made and secure, the velcro is in whole panels instead of small strips so it is completely adjustable. It is also very compact, I can put it inside the changing pad compartment of my diaper bag. Which is great because it doesn’t take up any room inside the bag and I never forget to bring it with me. I really love that it fits every shopping cart, even Costco and Target. I will be giving Kanga Boos as baby shower presents from now on! This shop has excellent customer service and the shipping is super fast! 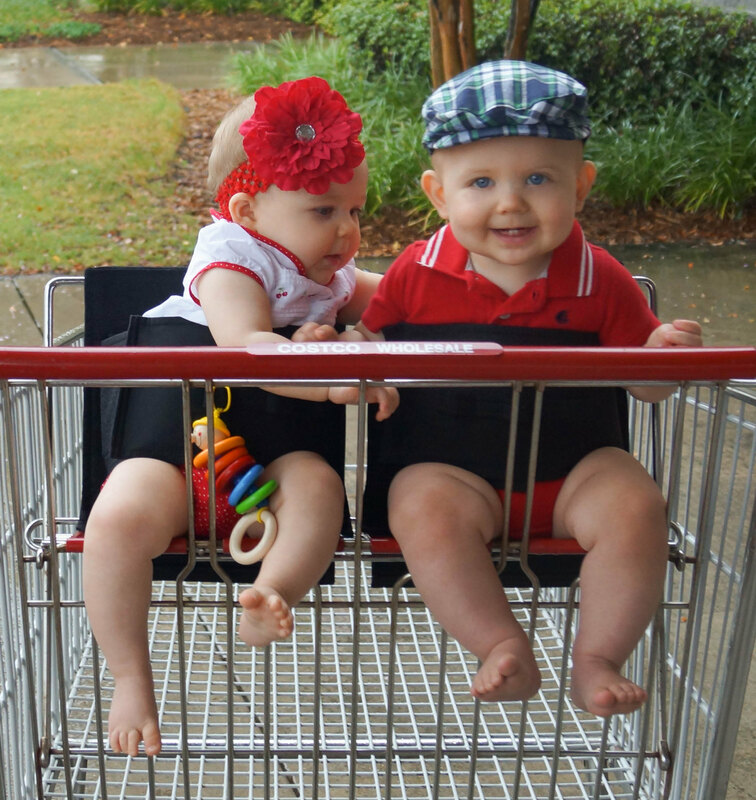 **I bought the Kanga Boo for my 7 month old daughter when her carrier became too heavy too lug around and because it doesn’t fit on all shopping carts. The Kanga Boo is fantastic! She can ride securely in the cart and she loves it because now she can see everything. I highly recommend it and know what I will be giving for shower gifts in the future. **I saw the Kangaboo on someone’s Facebook page and rushed to etsy to buy one. I’m so glad I did! This is exactly what I’ve been looking for. It eliminates the huge car seat in my cart and smashing my baby between my chest and the cart handle when I wear him in a carrier. It arrived within five minutes of me ordering. (Well, it seemed that fast, anyway.) My little guy is five-months-old and still a little too wobbly to sit in a cart by himself, but he gets frustrated in his car seat because he wants to look around. We tried it for the first time today at Costco, and it was a HIT! As soon as I velcroed him in, he was smiling and kicking his chunky legs just like a big boy! 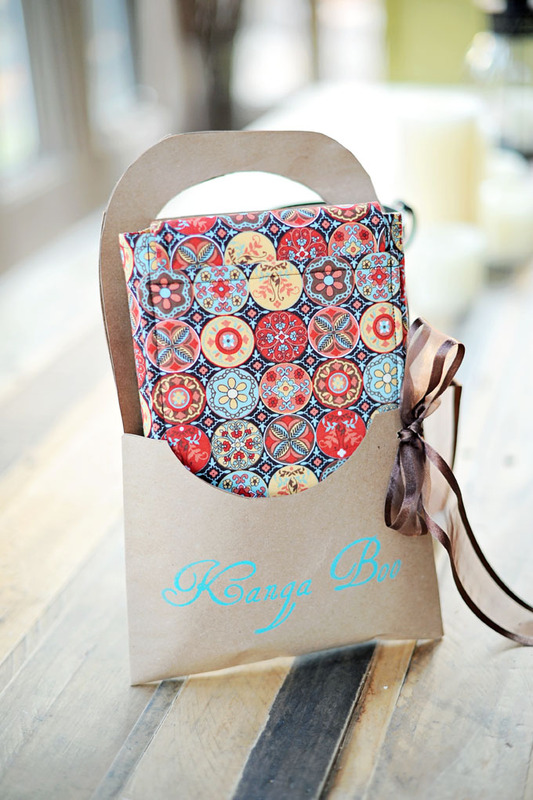 The Kanga Boo is VERY well made and super easy to attach to the cart. (I am always leery of trying these kind of things for the first time in public, but no problems at all.) I received tons of compliments and inquiries about “whatever in the world is that thing” my baby was strapped to. Everyone agrees that it’s amazing. What an awesome invention! It worked exactly as I had hoped. Thank you, from a happy baby and a happy mama!